Greg Devlin is an MBA graduate with over 30 years experience in business, working with companies and non-profits of all sizes, from owner managers to multinationals with global brands. He has set up, owned and managed businesses and has learned by experience ‘the good, the bad and the ugly’. For 10 years he taught part-time on the MSc Organization and Management at Queens University Belfast. Greg is a former president of the MBA Association of Ireland, having served five terms and is committed to lifelong business and management learning. He has mentored and advised many business owners and managers from a wide cross section of business types, over three decades. He is a founder director at MBA Global Institute and is a co-creator of The Business Model Actualization Platform. Liam Fennelly is a Chartered Engineer and MBA graduate of Warwick Business School. He spent his early career working in the Caribbean and North America and gained his business experience working for multinational companies. Since graduating from Warwick, he has been involved at founder/director level in seven start-ups and has extensive experience in growing both new and established businesses. These have included technical sales and service, real estate, import and distribution, master franchising, digital media and training. He has been a mentor and business consultant for over 15 years. He is a former three-term president of the MBA Association of Ireland. An advocate of lifelong learning, he is also a founder director of MBA Global Institute and a co-creator of The Business Model Actualization Platform. This purpose of this book is to help you to make your business an enduring success. Every year all around the world, energetic people with great ideas start new businesses, embark on new initiatives and begin new projects, and every year, unfortunately a large number of them fail. This book will help you to ensure that your business thrives. COUNTDOWN TO LAUNCH is both an operator’s manual and a toolkit. It’s packed with analysis and planning tools, trigger sheets and methods. 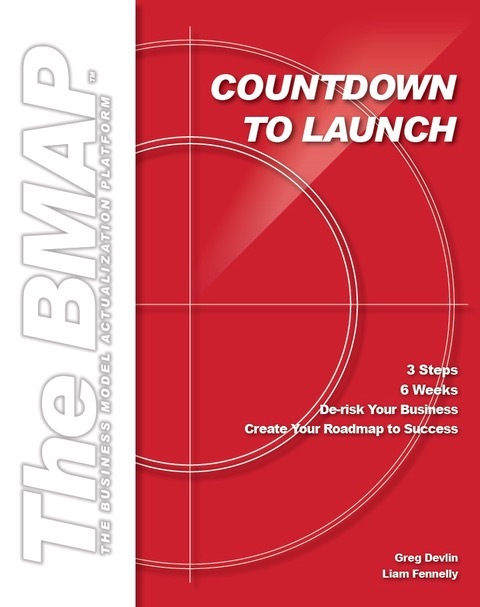 It introduces The BMAP – The Business Model Actualization Platform, a simple ‘Three-Step’ business development process. 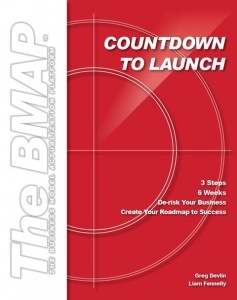 The BMAP results in robust and tested business planning that will help you achieve sustainable success by reducing risks and increasing opportunities. You need no special training to complete the tasks - anyone can do it! Using straightforward language, this book avoids jargon. It is aimed at the great majority of people that have not undertaken business courses, though it will also act to refresh the memory for those who have. We’ve paced this book to give readers a sense of what it is like to be entrepreneurial in today’s world. We encourage you to take the challenge and liberate your dream, enjoy the journey and take away some enduring learning! Why Do We Need the BMAP?